Mix Coconut and Raspberries until Coconut is a pink colour. 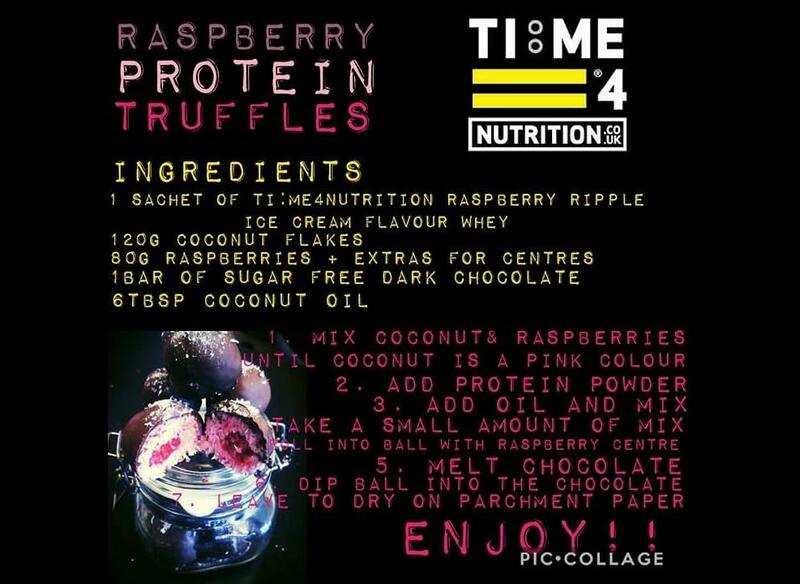 Add Time 4 Whey Raspberry Ripple Ice Cream. Take a small amount of Milk and roll into a ball with a Raspberry centre. Dip ball into the Chocolate. Leave to dry on parchment paper.